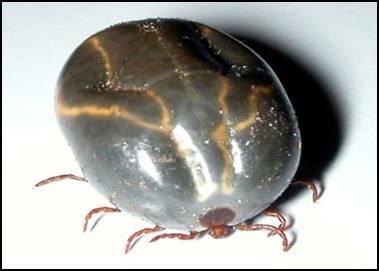 Treat with Frontline or Cydectin if the infestation is bad. Alternately remove the ticks by hand, I find a newly orphaned wombat is soothed by the grooming technique and quickly settles. Wombats can be sprayed with Permoxin, (an insecticidal spray and rinse concentrate for dogs & horses) available at vets. This needs to be diluted and rubbed through the coat and is a much cheaper alternative and very effective. Most adult wombats will have some ticks and they seem to cope ok. It is only when there is a large infestation that problems can occur. This is more likely to be the case if the wombat is unwell.